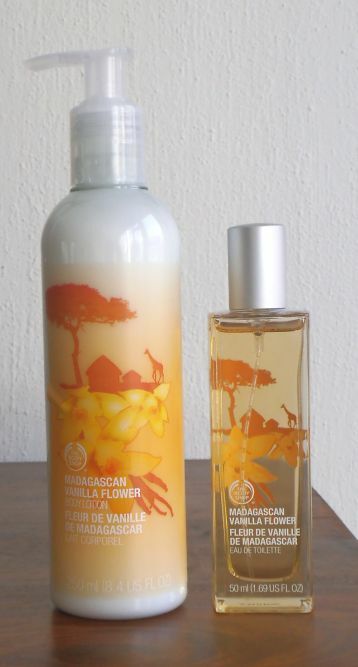 While the weather is cold and snowing outside this Madagascan Vanilla creates exotic, warm feeling of being somewhere far away. Both Body Lotion and Eau de Toilette are part of the collection called Scents of The World. The scent has sensual blend of floral and oriental notes, fresh Vanilla, hint of Amber and Frangipani flowers. I purchased this set in the January sales at my local Body Shop store, but it can be also found on www.thebodyshop.co.uk. I usually create my own scent by adding Madagascan Vanilla to my other fragrances for truly unique blend.